If you only paid attention to political ads, you might think Proposition 112 had something to do with churches because of the revved-up Reverend Patrick Demmer in one ad. Or you might think it is a school teacher ballot issue because of a TV ad and mailer focusing on school issues. 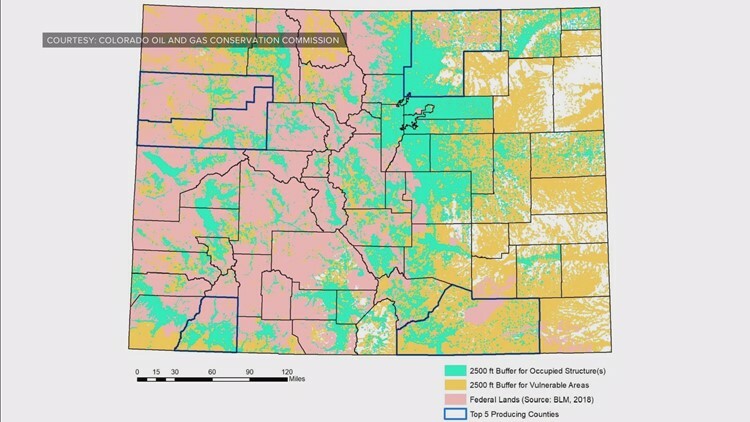 The new ads are paid for by Protect Colorado, the group funded, in large part, by oil and gas companies to defeat Proposition 112, which would increase the setback for oil and gas operations. 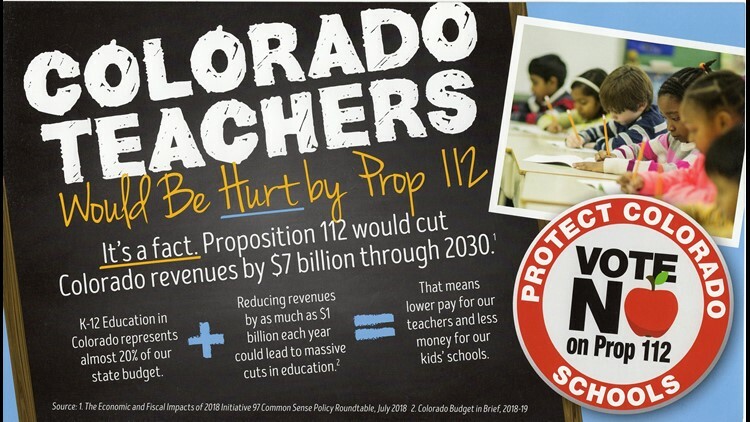 CLAIM: (Narrator: Stanton/Colorado Public School Teacher Economics/Government Instructor) "As a teacher of economics and government, I take a hard look at elections and the impact on Colorado's economy, and in this one I'm most concerned about Proposition 112." VERDICT: This isn't a claim, just a chance to identify the star of the ad. Stanton is Stanton Skerjanec from Liberty Common High School, a charter school within the Poudre School District. CLAIM: "This is effectively a ban on new development of natural gas and oil." VERDICT: This is part true and part false. The part that is false, is that your vote on Proposition 112 does not impact federally-owned land, where new oil and gas development would be able to continue (only pink areas in the map below). CLAIM: "Independent research shows in Weld County alone, they could lose over $3,000 per student." VERDICT: This is inaccurate. Just like the claim that appears in a school-themed mailer against Proposition 112. "K-12 Education in Colorado represents almost 20 percent of our state budget." Then, the mailer's math gets fuzzy. CLAIM: "Reducing revenues" from oil and gas development restrictions would mean "lower pay for our teachers and less money for our kids' schools"
State law uses a specific formula to determine how much funding each school district receives every year. Whatever the district is lacking in local property taxes, the state pays the difference. The district is always made whole. However, if the state must fund school districts more than it's used to, the money comes from the same piggy bank that also pays for health care, human services, higher education and prisons. To determine how much your school district receives from the state, use this link and divide line 280 by line 277. In Weld County in 2017, oil and gas property taxes contributed 49 percent of all property taxes. Of the $688 million in property tax revenue in Weld County, oil and gas property paid $337 million. Of that amount, almost 42 percent goes to school districts in Weld County. That means Weld County school districts benefits from approximately $141 million in oil and gas property taxes last year. If that valuation were to go down, the state would likely have to pay more from the general fund.